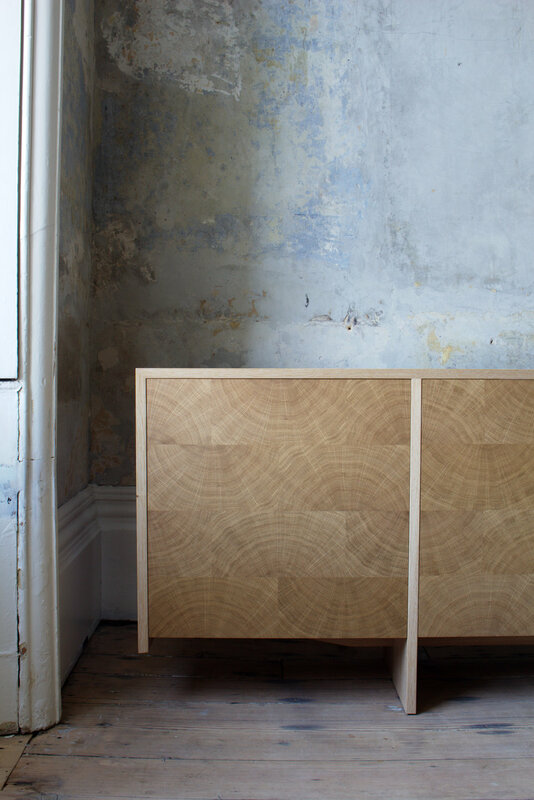 We have designed the Clara sideboard as part of a pair of media units for a private client. 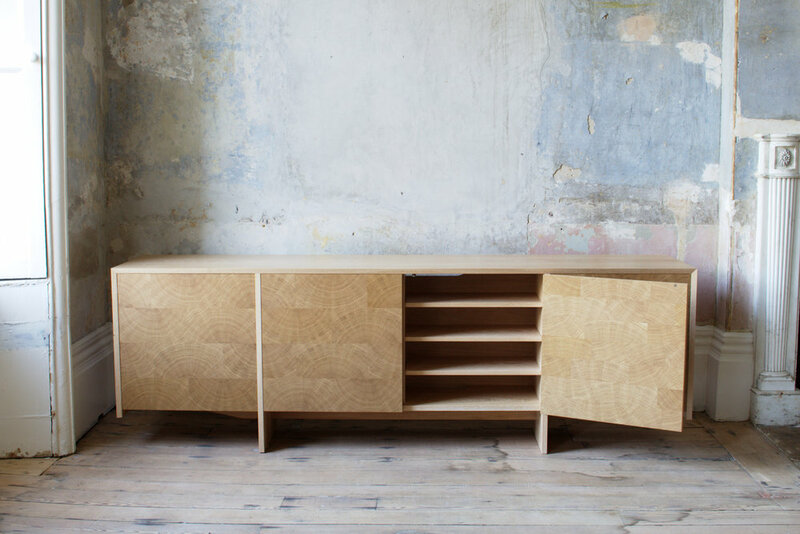 The sideboard is made in solid Oak with Oak end-grain veneers to make up the tile effect on the doors. 4 doors with adjustable shelves on brass pins.